South Coast Auto Repairs has a long-standing reputation for quality service and repairs to all makes and models of vehicles from its workshop on the corner of Waterport Road and Hill Street, Port Elliot. BRIDGESTONE SERVICE CENTRE Victor Harbor is the place the locals go for Tyres, Wheel Alignments, Brake Repairs & Service, Batteries and a whole host of other services. 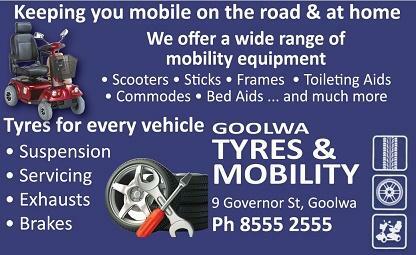 Bridgestone Victor Harbor also offer an on farm service. 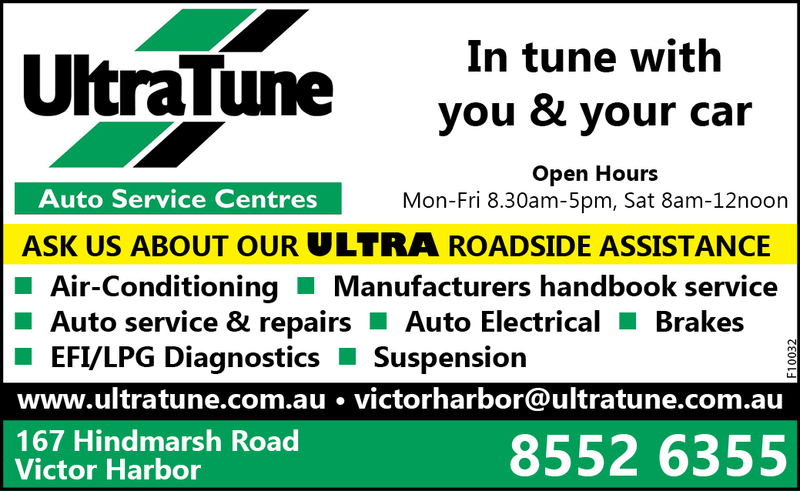 Victor Harbor Ultratune does more than just tune cars, it offers a complete automotive service for all makes and models of vehicles. The business has been under new management since late 2013 with Tony Caruana and Steve Conder stepping into the workshop to ensure Ultratune’s top reputation for quality service is maintained.